Ashleigh, Soprano, is proud and excited to be teaching private voice lessons with All Things Musik for her fourth year. Ashleigh holds a Masterʼs Degree in Music from the University of Kentucky and a Bachelor's Degree in Music from the University of Nevada Las Vegas. Ashleigh is a regular soloist at Wayzata Community Church under the direction of Thomas Paulson and Autumn Toussaint in Wayzata, MN. In March 2016, Ashleigh performed the role of Frumah Sarah in Fiddler on the Roof with WCC's Good Works Community Theater, her second role with the company. In March 2014, she sang the role of Sister Berthe in the Sound of Music. 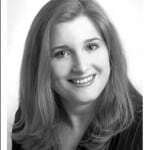 Also in the spring of 2016, Ashleigh was the soprano soloist in the world premiere of All Might Dominion Majesty and Power, a choral symphony in ﬁve movements composed by Thomas Paulson with the Wayzata Symphony Orchestra. Ashleighʼs voice has been described as rich and warm with a velvety smooth legato. Highlights of her performance career include performing with Dolora Zajick, the renowned Metropolitan Opera singer, at the Carmel of Reno in Reno, NV and a singing a leading role with the Lexington Opera Society in Lexington, Kentucky. Ashleigh is a three - time NATS Competition winner (National Association of Teachers of Singing) and received the Outstanding Senior of the Year Award in Music at UNLV for both her academic achievements in music and her ability as a soloist and performer, performing two leading roles while in school. Ashleigh has worked with renowned teachers and coaches throughout the US including: Dolora Zajick, Barbara Brooks, Shirlee Emmons, Ben Krywosz, Dr. Karen Leigh - Post, Cliff Jackson, Dr. Alfonse Anderson, Sarah Agler, Sally Stunkel, and Dr. Everett McCorvey. Ashleigh is a dedicated, passionate and highly trained professional singer who has extensive knowledge of the vocal instrument, not only pedagogically, but from performance experience as well. Ashleigh has performed in productions both in the operatic/ operetta genre as well as those in the musical theater genre. Ashleigh teaches a vocal technique that is healthy and natural to build a solid foundation for every style of singing. Ashleigh loves to share her knowledge and passion for music with her students and colleagues and is a great listener who is patient and responds to students individual needs to ensure they reach their highest potential.